If the drag and drop of files is not working in the file manager in Ubuntu 18.04, here is an easy fix for that. The other day I was trying to upload an image on It’s FOSS. I prefer dragging the image and dropping it to the uploader. I tried the same and to my surprise, it didn’t work. I clicked on the file and start to drag it. But instead of getting dragged, the file stayed there. On the other hand, other files in the same directory got selected. It was frustrating as hell and if you are facing the same issue, I can understand your frustration. 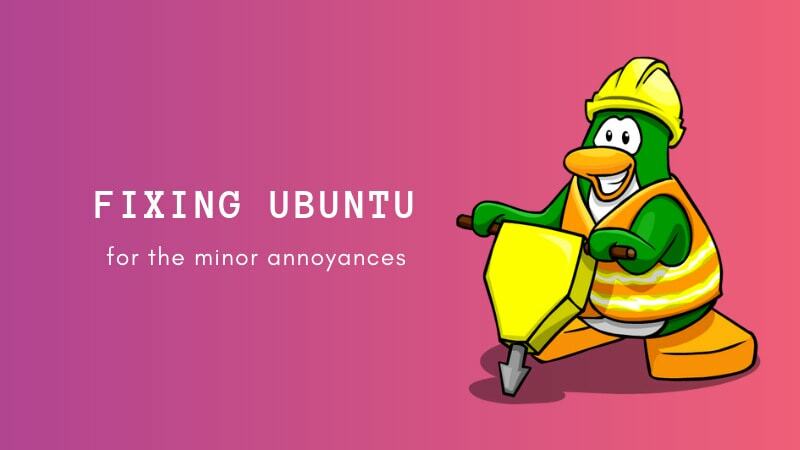 Let me show you the quick and easy fix for this annoying issue on Ubuntu. The reason behind the drag and drop not working was the experimental view of GNOME Files (previously known as Nautilus). To fix this, all you have to do is to disable the experimental view again. Open Nautilus file manager. On the top left, click on Files->Preferences. Clear the “Use the new views” option under Experimental. Close the file manager and open it again. Your drag and drop should be working again. I hope this quick tip helped you to fix the annoying drag and drop issue in Ubuntu. If you have questions or suggestions, do leave a comment below. Like what you read? Please share it with others. I am a professional software developer, and founder of It's FOSS. I am an avid Linux lover and open source enthusiast. I use Ubuntu and believe in sharing knowledge. Apart from Linux, I love classic detective mysteries. I'm a huge fan of Agatha Christie's work. Don’t find what you are looking for?